Canada has made headlines this year for a rather unusual reason: a dramatic increase in flood-related damages from unusually intense rainfall, erosion in key coastal areas, and elevated water levels in Lake Ontario and surrounding waterways. This difficult confluence of abnormal weather patterns with sometimes outdated infrastructure has displaced residents throughout the country, causing significant financial and emotional distress. And since overland flood insurance is a relatively new product offering for Canadian homeowners, many either mistakenly believe the standard homeowner’s policy covers weather-related flooding or simply don’t realize flood insurance is even an option! It is a smart idea to look into the possibility of purchasing flood insurance to protect your home. However, there are also other things you can also do right now to reduce the risk of flood-related home damage, and here at Shipton’s, we are happy to help! A backwater prevention valve is a simple device that can save you thousands on flood-related home repairs. This valve prevents any backflow from the city’s end of the sewage system from flowing back through the pipes and into your home. Depending on where you live, your city water and sewage lines may be more or less updated, but you just don’t want to take the risk of ending up with dirty sewer water in your home! It is now common practice to install a sump pump in newly constructed Canadian homes. But what if you are living in an older home that has an older sump pump that drains illegally into the city sewer system, or (worst-case scenario), your home has no sump pump at all? A sump pump is a protective appliance to keep groundwater flowing away from your basement and foundation to avoid flooding. Not only is this a protective asset in good weather, but when city sewer and water systems get overloaded due to weather or other reasons, a sump pump can keep that water out of your home. Along with your sump pump, you need to have a backup power source in case a storm causes a power outage. This is the only way your sump pump will be able to continue pumping water away from your home. If your home is equipped with a working sump pump, you are already one step ahead of the game, at least in theory. In fact, your sump pump is only as healthy and viable as its last inspection and maintenance service. Inspect the power cord for signs of wear and tear. 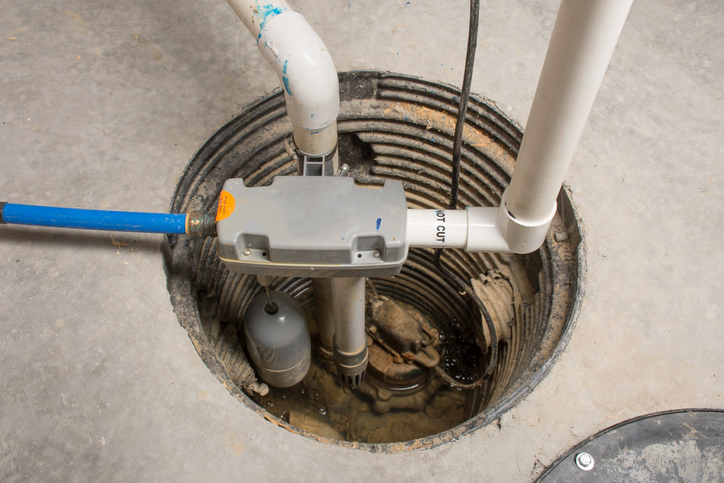 Inspect the sump pump’s power source and ensure it is grounded for safety. Inspect the battery backup power source and ensure it is charged and operational (if none is present, install one). Verify the pump itself is sitting level and upright. Check the pump is operational by filling the basin with water. Clean out the grate under the pump. Check and tighten connectors between the pump and drainage pipes. Verify the drainage pipes drain away from your foundation. Finally, find the discharge pipe and ensure it is clear and free from debris. If you do each of these maintenance items at least once annually, you can enjoy much greater peace of mind the next time the forecast calls for heavy rain. You should also plan to clean the pump grate, screen and/or inlet opening at least quarterly to ensure the most efficient operation in rising-water conditions. Pipe severance and capping is yet another protective measure you can take to keep water out of your basement and home. Here, the connection between your foundation drain (also called “weeping tiles”) and the city sewer system is severed and a cap is placed the end of your drain pipe. The type of landscaping around your home can be a factor in how easily high groundwater or flood waters can enter your basement or home. Ideally, you want your landscaping to slope down and away from your home’s foundation, guiding water to exit the premises similarly. You can also redirect your downspouts to point away from your home and toward a lower-lying absorbent area to help keep excess water from collecting around the foundation of your home. Your city or municipality may offer subsidies for some or all of these preventative and protective services. In some cases, a grant or subsidy may be available for proactive installation of flood prevention appliances, while in other cases, the funds may be made available only if you have already experienced home flooding. In the case that subsidies are available for flood prevention equipment installation or retrofitting, be sure to read the fine print regarding permitting and hiring a qualified plumbing professional to perform the work. You may also find you are eligible for rebates, discounts, or credits on your homeowner’s insurance by installing these proactive flood prevention helps. Whether or not you have already put flood prevention aids in place, you should definitely plan to schedule a basic plumbing inspection and maintenance service appointment at least once annually. The older your plumbing infrastructure is, the more important scheduling annual maintenance becomes. Older pipes can rust, collect debris, run afoul of tree limbs, or simply crack or break, raising your monthly water bill and your annual flood risk. Did you know Shipton’s now offers plumbing installation, repair, and maintenance services? We can help you prepare your home against the possibility of future flooding and ensure your protective equipment is working as it should be. 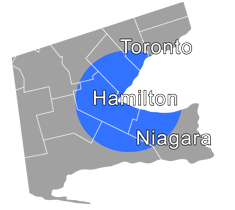 Give us a call at 905-549-4616 or visit us online to schedule a quote, repair, or maintenance call.